CBC Calgary's food guide Julie Van Rosendaal pulls a French cuisine cookbook off her shelf to find simplified recipes for delicious dishes your family can make. French teacher Mardi Michels has had an after-school cooking club for more than 10 years. Members of Les Petits Chefs gather in Toronto to make all kinds of recipes, from crème brûlée to profiteroles, steak frites to ratatouille. It's not all French, and often guest chefs, bakers and cookbook authors come in to cook with the kids. There's no dumbing down or using preconceived notions of what constitutes "kid food. 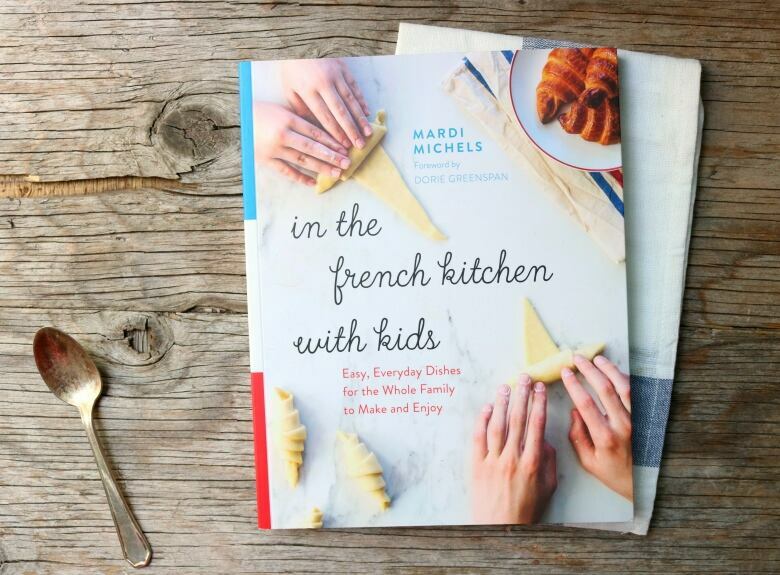 "​ Michels has also written a cookbook called, In the French Kitchen with Kids. Her teaching experience is evident. She welcomes kids into the kitchen for more complex recipes than most might attempt with little ones in the kitchen, but her junior chefs are proof that kids can handle it all — even as an after-school project. In her first book, Michels breaks down the steps and has timelines for more involved dishes, making them really approachable. They're great even for beginning adult cooks, and she offers advice about how to get kids of all ages engaged in the kitchen. Check it out if you're looking for some culinary projects over the summer. 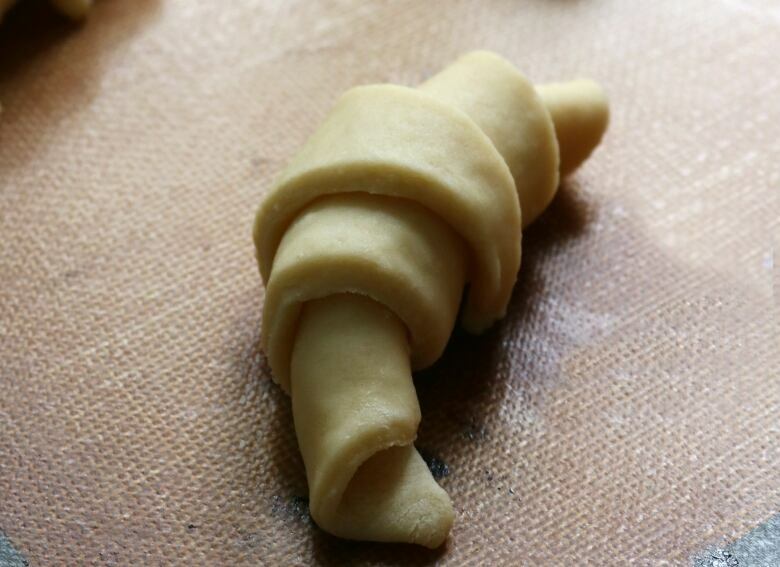 If you like to bake, which is a fun activity to do with kids, a good starting point would be these shortcut croissants. 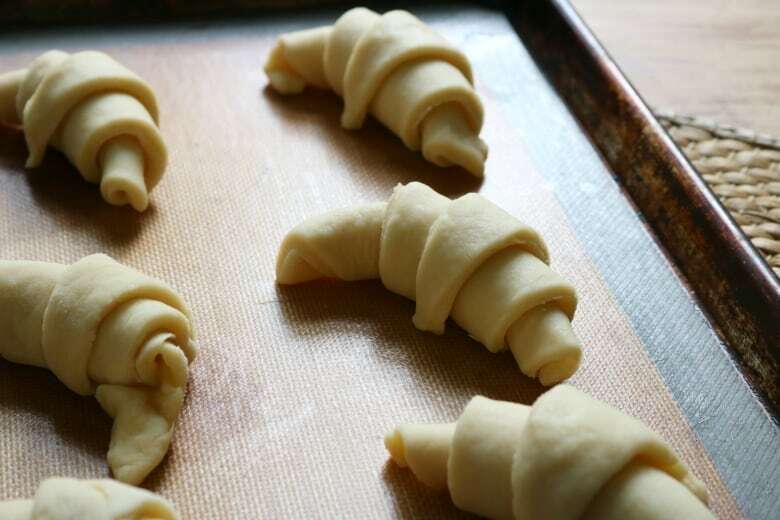 Traditionally, croissants are made with laminated dough, which is yeast-risen, rolled, folded, rolled. It's turned and chilled in-between with a slab of butter folded inside for the first turn. This is a streamlined version, using a technique borrowed from Julia Child. The dough is rolled out into a long rectangle, folded like a letter, rolled and folded again eight times. It results is in buttery, flaky layers that aren't quite as dramatic as traditional croissants, but no less delicious. Use this rough puff to make croissants, pain au chocolat or anything that requires puff pastry, for which most of us defer to the frozen pastry section. I edited Michels' recipe slightly for space and to follow the way I made them. She says these do require a bit of planning but they are so worth the effort. On Day 1, 60 minutes of hands-on time in stages plus a 60-minute rest in the fridge. Refrigerate overnight. One Day 2, 45 minutes of hands-on time, including rolling and measuring, three hours of proofing time and then 20 to 25 minutes for bake time. 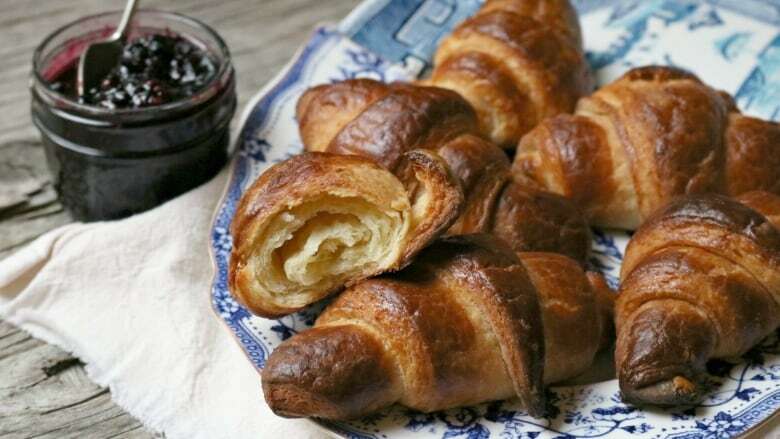 Typically, croissants are made using a laminated dough, and as explained, this recipe borrows a technique from Child, who borrowed it from Beatrice Ojakangas, author of The Great Scandinavian Baking Book, for inclusion in Baking with Julia. It produces a fluffy, rather than super-flaky, croissant. This is definitely one of the more advanced recipes in the book, not because it's difficult, but because it requires a bit of planning and some precision in the rolling and folding. But if you set out to make this a weekend project and take each step slowly, you'll be thrilled with the results. ½ cup or 125 ml of 2 per cent milk. 2½ teaspoons of active dry yeast. 1½ cups or 225 g of all-purpose flour. ¼ cup or 50 g of sugar. 1 cup or 226 g of cold salted butter or European-style butter, cut into rough cubes. All purpose flour, for rolling and shaping. 1 tablespoon of heavy, 35 per cent cream. 1. In a medium pot, or microwave-safe bowl in the microwave, heat the milk to approximately 45 C, or between 110 F and 113 F.
2. Pour the milk into a large heatproof bowl and sprinkle the yeast over it. Let it sit for 10 minutes until frothy. 3. Place the flour, sugar and butter in the bowl of a food processor and pulse eight to 10 times. You should still be able to see large chunks of butter. 4. Tip the flour-butter mix over the warmed milk. Use a wooden spoon to just incorporate the dry ingredients into the milk. The dough will be lumpy, shaggy and quite dry. 5. Use your hands to form a ball of dough. It might need a bit of work, but keep going. It will come together. Cover tightly with plastic wrap and place it in the fridge for at least one hour. Don't leave it much longer than this, or it will become too difficult to roll out. 6. On a lightly floured surface, knead the chilled dough gently until you can feel it becoming softer. Use your hands to shape it into a rough rectangle. 7. Lightly flour a rolling pin and roll out the dough until you have a very large, roughly 8-by-17-inch rectangle. You should be able to see butter pieces in the dough. If the edges of the rectangle crack a little as you roll, simply push them together with your fingers. 8. Fold the short end of the dough about two-thirds of the way down, then fold the bottom third up over the first fold like a letter. You might need a bench scraper or spatula to help if the dough is sticking a little. 9. Turn the block of dough clockwise so that it's vertical. This rolling and folding is known as "a turn." 10. Repeat Steps 7 through 9 seven times, adding a little more flour to the counter or rolling pin if you need it. Do this for a total of eight "turns." Wrap the dough tightly in plastic wrap and refrigerate for a minimum of three hours but preferably overnight. 11. Line two baking trays with parchment. Remove the dough from the fridge and let it sit for a few minutes to make it easier to manipulate. Roll until you have a rectangle that's a little larger than 8 x 24 inches. 12. 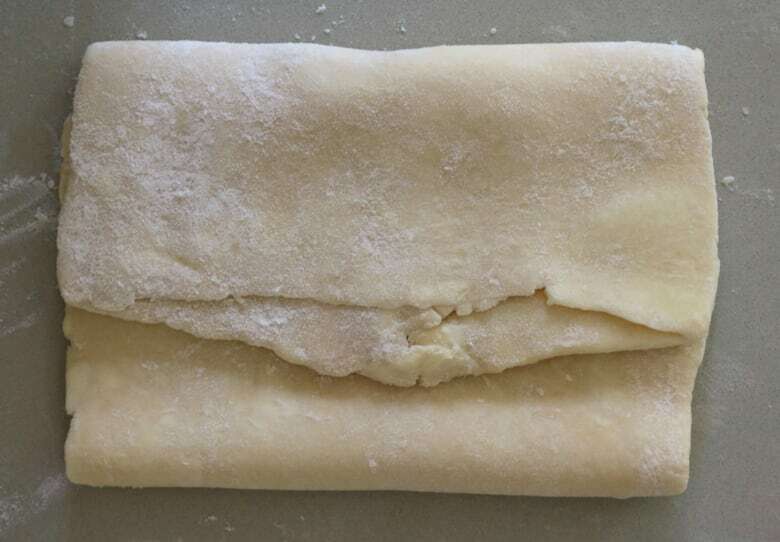 Working along the long sides of the rectangle, make a small cut in the dough on each side of the rectangle every 4½ inches. Place a ruler or tape measure across the width of the dough at the first mark. Use a long sharp knife or a pizza cutter to cut a crosswise rectangle. Repeat at each mark until you have five rectangles. 13. Cut each rectangle in two diagonally to make two triangles. You'll have 10 triangles. 14. Gently stretch one of the triangles at each corner. Working from the wide end, roll up the dough until you have reached the pointed end. Voilà, you have a croissant. 15. Repeat with the remaining triangles. You might find that some of your croissants are not quite the shape you think they should be. Again, practice makes perfect and they still will taste amazing. 16. 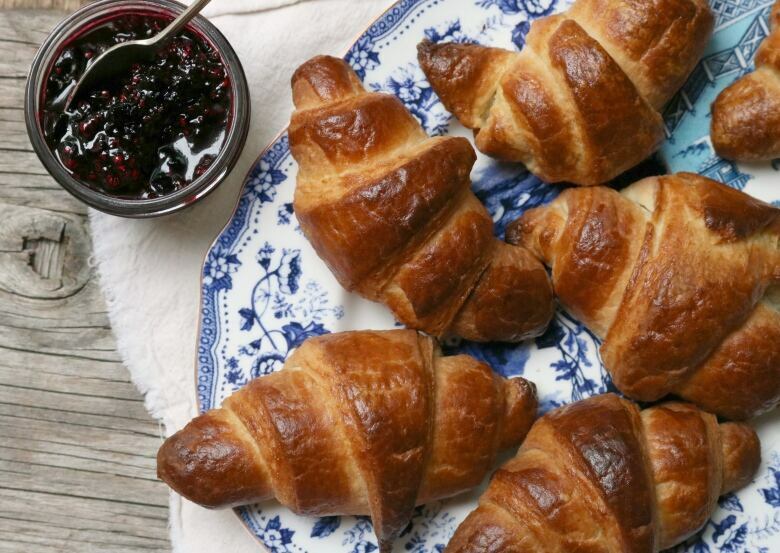 Place five croissants on each tray and cover each tray with a tea towel. Leave to rest in a warm place for three hours. The croissants will puff up slightly during this time. 17. After 2½ hours, preheat the oven to 190 C (375 F). Whisk the egg and cream together. Gently brush the tops of the croissants with this egg wash.
18. Place one tray in the top third of your oven and the other in the bottom third of the oven. Bake for 20 to 25 minutes, or until the croissants are golden brown on top. 19. Switch the trays from top to bottom and turn them from front to back halfway through baking. Alternatively, bake one tray after the other, brushing with egg wash right before baking. 20. Remove from the oven and let the croissants sit on the trays for about 10 minutes, then place them on a wire rack to cool completely. Serving: Makes 10 croissants. Croissants will keep for two to three days in a resealable plastic bag. You can pop them in the microwave to reheat for a few seconds. 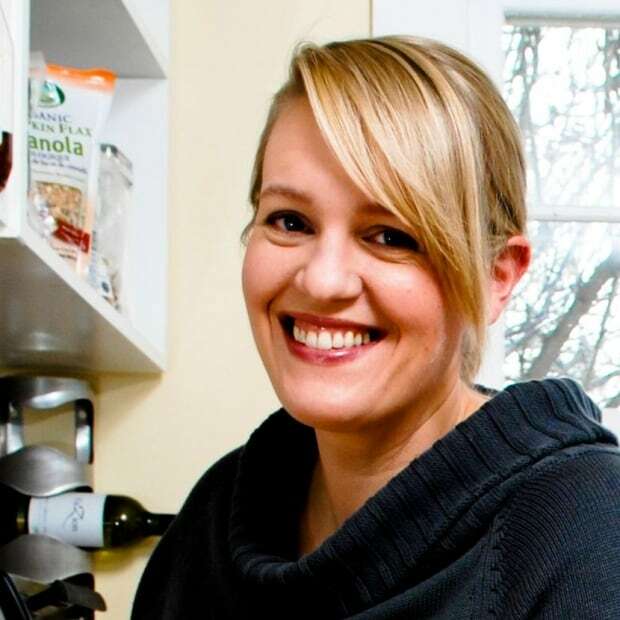 Julie Van Rosendaal talks about food trends, recipes and cooking tips on the Calgary Eyeopener every Tuesday at 8:20 a.m. MT. The best-selling cookbook author is a contributing food editor for the Globe and Mail, and writes for other publications across Canada.